I have tried both of the products within the space of a year in London. I had a very cute upper lip which was smaller than the lower and just wanted to make it same size. What both products have done (i've had two different sessions trying to get the result i want) is that they have reshaped my lip, making it less attractive and also made it thinner! Which is soo strange! Furthermore, the natural line of my lip has become broken. I really don't understand why this happened with both of those products, especially as everyone is very happy with them. Anyone know why? View My Professional Profile You need an experienced injector. View My Professional Profile Avoid silicone,Radiesse,Sculptra,and Artefill! While injection technique is important what happens under the skin once an agent is injected is far more critical. What you seek to avoid at all costs is an immunologic or allergic reaction to the implanted substance. Why? Such reactions can cause large lumps that at times can be so severe they can result in facial deformity. In regards to bovine collagen most allergic reactions can be avoided by 2 negative skin tests. I developed double testing to avoid most all immunologic consequences of collagen injection. To illustrate what I mean, imagine what happens if you had poison oak implanted under your skin. It would not be comfortable nor would the reaction be beautiful. So you've been looking in the mirror and decided that it may be time to "freshen up" your face. Good for you! It's a new decade that is upon us and it's a time for resolutions. Now comes the quandary; how should I freshen up my face? The facelift was once the singular manner by which to restore a youthful appearance. This "revolutionary" procedure all too often gave an unusual appearance to the face. Men could become feminized and at times women could look as if they had their skin simply tightened across their skull with their individual features often erased by the surgeon's knife. All too often their appearance is nothing more than a vague resemblance of the person we once knew.Have we not all had the unfortunate experience of talking to someone while our visual fields race to determine who is inside this unfamiliar mask? If one compares the faces of a child to that of an adult what becomes apparent is the loss of facial volume; loss of supporting structures; and the presence of wrinkles as the face ages. Indeed with the human face;is a facelift the only way to turn back time or create a rested look? The answer is a resounding no. If one understands the architectural nature of facial aesthetics they realize there is a time to pull but more often than not it probably is a time to fill. But volume alone is not the answer because it is both volume and structure that must be returned to the face. "What to fill with?" is the next question you are probably asking yourselves. The history of fillers is fairly recent. It began with the use in the late 70s of bovine collagen extracted from cow skin. From 1979 to 1981, over 5100 patients were treated by 728 physicians including myself in the clinical trials of injectable collagen. I treated well over 1000 of these patients with what they declared to be spectacular results that brought the Collagen Corporation to my door. They proclaimed I had found a superior method of injection with the birth of the "serial puncture technique" for filler implantation. I just assumed that everyone had discovered this method. The technique involved flowing small aliquots of the material under the skin with each successive injection at the advancing edge of the previous implantation. This allowed for greater accuracy of placement with 50-85% correction lasting for 3-18 months. Unfortunately most physicians were unwilling to take the time and practice it took to become proficient at injecting. With every substance for soft tissue augmentation injection technique is critical and the transient results many individuals achieved with bovine collagen were simply the result of poor implantation of the product by the physician. The 2002 approval of Botox Cosmetic by the FDA to relax muscles of the frown reawakened interest in filling agents. By judiciously combining fillers to restore lost volume and Botox Cosmetic to inhibit muscle action that creates wrinkles one can restore features of the aging face without surgery. What are the best fillers to use today? In my opinion hyaluronic acid (HA) products are presently the best and most commonly used filler agents for aesthetic indications. Hyaluronic acid is a substance that is naturally present in the human body. It is found in the highest concentrations in fluids in the eyes and joints. Pure HA is produced in the cell and is the intercellular volumizer of the human tissue. There is also a lot of interest in using hyaluronic acid to delay and prevent the effects of aging. In fact, hyaluronic acid has been promoted as a "fountain of youth." For those of you reading this who use over the counter beauty products containing HA be warned: there is no evidence to support the claim that taking it by mouth or applying it to the skin can prevent changes associated with aging. The injectable products containing HA used for cosmetic enhancement come from bird sources or are synthesized from a non-animal source. HA of and by itself only remains in the body for 24 to 48 hours in the body. Therefore these agents must be slightly chemically altered to increase their longevity once injected. They must be of a sufficient concentration to produce long term results but have good flow characteristics so it can easily moves through a needle. In the present literature most lumps and bumps from HA's not allergic reactions at all but due to forceful injections of the product. The proper injection techniques that give the best and longest lasting results are the serial puncture or anterior flow techniques which is at a deeper level than the one I developed for collagen. While tomes have been written about HA's chemical structure and biologic behavior it is injection technique and not simply structure that accounts for superb results with injectable HA's. Swelling, lumps, bruising and angry red lumps can be avoided by proper injection but the literature of the company tries to convince both the doctor and patient the are naturally occurring with HA's. Indeed they are when proper implantation techniques are no longer part of the filler curriculum. To fully understand the potential that fillers have one need only to see how they can be used to restore the lower 1/3 of the face. It is easy to appreciate\ the before and after results in this photo. Here, the products Juvederm orRestylane®, hyaluronic acids , are used not only for lip augmentation but also for restoration of the lower third of the face which lost as dental support diminishes with age. 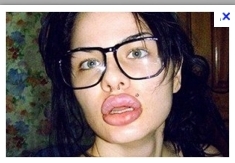 To achieve this result one must understand architectural features of the face, proper injection techniques and selection of an agent which will not react once injected. The popularity of this form of facial restoration also saw the approval of various injectable fillers and toxins by the FDA which should have never seen the light of day. Until recently, the effects of all injectable filling agents were temporary and very rarely associated with permanent problems. In the past, the permanent injectable silicone had been used but had been so problematic that the Justice Department filed injunctions against certain physicians on behalf of the FDA. After 2000 a dangerous pattern grew in the corridors of Washington, D.C., where politics and money changed the face of America and the field of aesthetics to the detriment of the faces of the consumers. Industry has accomplished the approval of synthetic agents which should have never reached the market. Once injected under skin the body cannot digest these agents and the immune system walls them off with resultant formation of nodules, which at times require surgical removal. One such product that was approved was Artefill® or Artecoll®. This product is polymethylmethacrylate or which is injectable Plexiglas beads. This product has long been associated in the worldwide dermatologic literature with scarring, and disfigurement only amenable to correction by surgery. At present, Artecoll®, the predecessor of Artefill®, is no longer available in Europe or Canada. In 2003, the American Society of Dermatologic Surgery newsletter 'Currents" promoted the use of Artefill® to fellow dermatologists. Physicians in this Newsletter encouraged and promoted the use of this agent. It was later revealed that at least one of these physicians had been given a large amount of stock (35,000 shares) by the manufacturer, which was not publicly revealed. We knew from the experience of Artecoll® in Canada that pharmaceutical companies cannot be relied upon to report adverse events to authorities, yet the FDA claims that it can evaluate adverse reactions by relying on doctors and "Big Pharma" to report these directly to the FDA. Furthermore, merely changing the name of the product (e.g. Artecoll® to Artefill®) doesn't change the history or adverse experiences of the past. In the literature, consultants have used the names interchangeably. Furthermore, if Artefill® is new and improved, how can one gain FDA approval of Artefill® by studying Artecoll®? In 2003 The "Currents" newsletter of the American Society of Dermatologic Surgery established an expert panel on fillers from which I was excluded. This was odd as I was the filler editor of the Journal of Dermatologic Surgery as well as the recognized world authority on fillers. Could the reason be that I had lectured prior to this newsletter on the problems with Plexiglas fillers? It was well known to me that Artefill®/Artecoll® (Artes-Medical, San Diego, CA) caused severe adverse reactions which frequently required surgical removal of the product. It was later revealed that Artes founder Dr. Gottfried Lemperle, a plastic surgeon, improperly injected 10 people in the United States with some form of the company's wrinkle-filler before it was approved for market by the FDA. Subsequently, Gottfried Lemperle resigned as the company's chief scientific officer and a director but was retained by the company briefly as a consultant. Both Gottfried and his son were cited in a lawsuit filed by Hairdresser Elizabeth Sandor, 40, who alleged in May 2006 that Dr. Lemperle used Artefill® as an injection to fill her facial wrinkles in 2002. She alleges that Lemperle falsely convinced her that Artefill® had received FDA approval, and that he never disclosed his lack of license in California. Her claims detail suffering of pain and disfigurement she attributed to a reaction to Artefill. Sandor's face was inflamed, she had scarring near the injection sites and had a fever and aches and pains. Prior to approval by the FDA there were European reports of a significant incidence of large lumps 3-4 years post implantation. Furthermore both Germany and Switzerland had already advised physicians not to use this product. The purpose of the FDA is to protect the public interest in safety and efficacy of all medical products. Prior to the release of Artefill® in the USA, I contacted a senior member of the FDA with articles regarding the foreign experience with Artecoll but this did not prevent release of this product. Subsequently an article which quoted me in the Wall Street Journal revealing the seriousness of adverse reactions to Artefill® helped cause the parent company to go into bankruptcy but I have recently seen a company bring this product back to market. Why would a company bring back a filler that has so many medical issues and how can the FDA let this happen? The physicians supported by "Big Pharma" are the very same people who run medical societies, edit and advise trade publications, appear on the internet, television, and speak before the FDA. These physicians are responsible for the recent FDA approval of permanent injectable agents as well as other synthetic products or semi-permanent agents that are placed under the skin. These products have gained approval because these paid physicians ensure that the products are marketed to doctors reading the trade journals and through communications from their medical societies. These products fill the communication highways of the medical community despite a total lack of information and scientific data concerning their behavior once injected under the skin. Some of these agents have had a disastrous history abroad, but the FDA aesthetic device panel showed disinterest in these studies. Since when does the FDA not pay attention to controlled studies? The answer is simple, when their results are not agreement what the industry is supporting. The lead physicians appearing before the FDA supporting many of these agents were foreign and not licensed in the U.S. Furthermore, on at least one occasion the physician's significant financial interest in one of these companies was not disclosed. Often times the studies they performed were done outside this country and of questionable validity yet the FDA was most accepting of this data. I feel it is critical these studies be done in the USA. Throughout the time I was attempting to awaken the FDA to the problems with Artefill® I attempted to reach Stephen P. Rhodes, a pivotal individual who works closely with the Cosmetic Device Panel of the FDA. He had been working closely with Artes but only contacted me after my article was published in the Wall street Journal about the severe problems with Artefill®. In response to my article; a public hearing was held in November 2008 at the FDA regarding problems with injectables. The meeting was led by an oncologic surgeon and invited spokesmen were plastic surgeons with a poor understanding of the art and science of injectables. I spoke to the oncologic surgeon and he promised me I would be given sufficient time to speak. I traveled 3000 miles yet at the meeting was not allowed to speak to panel members and was given 4 minutes to review my 30 years experience with fillers. At the hearing they evaluated all fillers as a single group which prevented a thorough evaluation of each injectable. As a result only the most frequently used injectables received warnings. What I took away from that meeting was the realization that freedom of speech had all but been extinguished at the FDA. They was far more interested in protecting the manufacturers than the patients. In this the patients would better described as victims! According to the European literature the consequences of Sculptra® in the normal host has been very problematic (foreign body granulomas, infections, etc. )Here is a photograph of a patient who came to me who had an adverse reaction to Sculptra®. Frequently the only way to get rid of these lumpy ridges is to excise (cut out) them from the face or treat them with 5FU combined with Kenalog.The filler Sculptra®, or New-Fill?, was at one time considered an important agent in managing facial fat loss in HIV+ patients. Prior to FDA approval, it was used in a clandestine manner. In clinical trials evaluating this agent for correction of fat loss in HIV+ patients although the study patients were for the most part satisfied, up to 50% of the injected individuals developed some degree of lumpiness in the treated areas. Furthermore, these lumps are often far from invisible. Nevertheless, Sculptra® received rapid track compassionate release approval from the FDA for use in patients with HIV. The panelists on the General and Plastic Surgery Device panel were strongly unanimous in limiting approval only for patients with HIV. At the FDA hearing, not one histologic slide showing the fate of Sculptra upon implantation was shown. Again, how can an agent gain approval without scientific data supporting its application? In 2000, at the World Congress of Dermatology in Paris, Pierre Andre reported cystic, nodular, and granulomatous lesions when this agent was used in individuals with normal immune functioning (non-HIV+ patients). Additionally, long-term allergic reactions have since been described, which are very difficult to manage. In another report concerning its aesthetic use in 100 patients with normal immune functioning, 20% of the treated individuals experienced significant adverse reactions. Obviously, this product is not immunologically inert as the manufacturer stated. Foreign body granulomas are being seen with this agent in HIV-positive as well as immunocompetent patients. Nevertheless, the lay press, medical conferences and internet began to promote this substance for soft tissue augmentation in HIV negative patients. Although prospective studies for the use of this agent in individuals with normal immune functioning have now been completed in the United States and it has been approved for this. 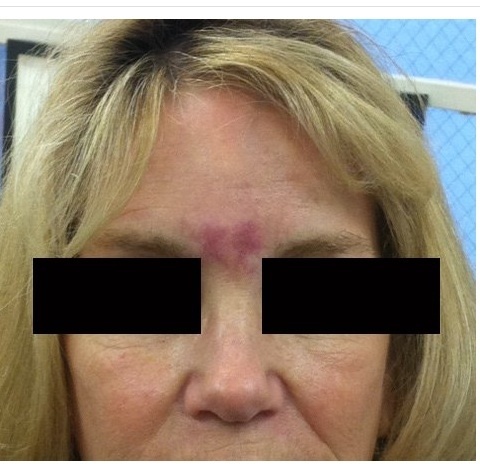 We did have reports in the European and US literature of severe reactions to Sculptra, yet despite this Sculptra gained approval by the FDA.While the manufacturer as well as investigators claim this product produces neocollagenesis or new collagen this is not what is seen under the microscope. On biopsy one sees a severe immune reaction to the product. Another product, Radiesse® (BioForm Medical, San Mateo, Calif.) is an injectable filler material composed of synthetic calcium hydroxylapatite microspheres (30 percent) suspended in an aqueous carrier gel (70 percent). At present, Radiesse® is indicated in the United States for correction of moderate to deep nasolabial folds and for correction of the signs of facial fat loss (lipoatrophy) in people with human immunodeficiency virus. Its off-label use in other facial aesthetic indications is widely reported in the literature. While a precise injection technique will supposedly minimize potential effects such as nodule formation and helped avoid persistent overcorrection, livid coloring, and asymmetry, the variation in injection techniques is immense. 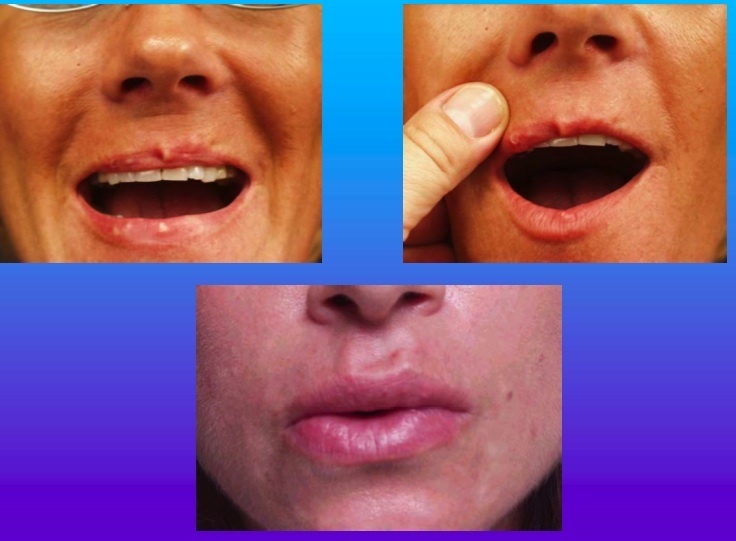 I personally have seen lumps in the cheeks, tear troughs and lips after Radiesse® use. Some of these lumps were over 2 years duration. One would assume that the problems of these adverse reactions would be the topic of medical meetings and conventions. These meetings were at one time places where physicians eagerly shared their medical advancements and warned of adverse reactions. The hotels were moderate but ideas were intellectually exciting. In 2012 medical meetings have become nothing more than trade shows where drug companies discuss and demonstrate their latest wares. The meetings are often held in grand resorts at distant foreign locales. Additionally, much of the medical literature itself has evolved into nothing more than promotional material of questionable accuracy also underwritten by Big Pharma. Presently even continuing medical education (CME) in the USA is no longer a science but a business where the manufacturers of these products promote the use of filler products and even teach off label use (using the product outside of what the FDA has approved it for) without regard for informing doctors of adverse reactions. The manufacturers underwrite the costs of these large conventions and CME courses to the tune of a billion dollars annually. In the world of facial Aesthetics especially this behavior is rampant.it is a strange time. Everyone wants to publish in the realm of minimally invasive aesthetics. Filler experts are everywhere and yet most fail to report adverse reactions to agents to which they are consultants. As a physician one must remember "everything that is obsolete was once new, which indicates that everything that is new is not necessarily better." Recently consultants have tried to blame bacterial colonization on the filler for adverse reactions. This is negated by what is found when filler problems are viewed under the microscope.When it becomes your time to fill; do some research beforehand. It could save you pain, expense and ultimately your face. Also find out what is in the needle before the needle goes into your skin.Furthermore, it is time to keep Industry out of medical education, and prevent them from turning the medical literature into written advertisements. Most importantly you must keep industry away from your face! Silicone, Artefill Radiesse and Sculptra can cause immune reactions with disastrous results!